Investors are betting that Republicans retake the Senate in November. 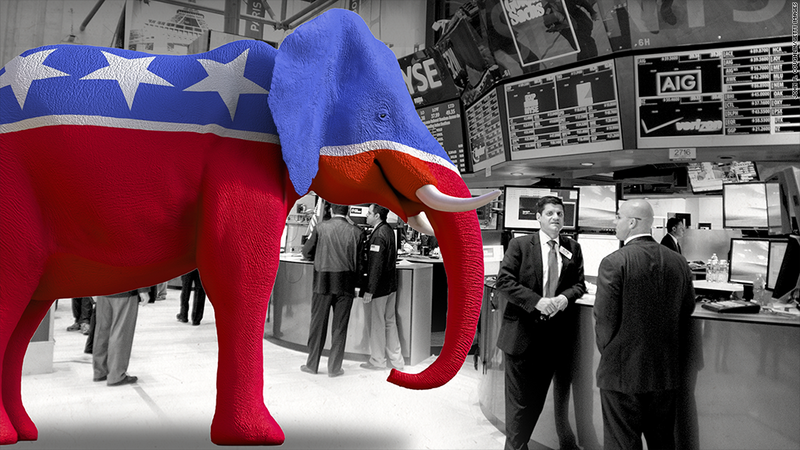 As the midterm elections draw near, Wall Street is buying the ticker symbol "GOP." "Markets expect Republicans to retake Senate control," asserted Fred Dickson, chief investment strategist at D.A. Davidson & Company. He said that if that doesn't happen, stocks could experience a short-term correction in the days following the election. The notion that the stock market is already pricing in a Republican victory probably has less to do with investors' savvy political insight and more to do with the latest polling data, which suggests that the Senate math is becoming increasingly dire for Democrats. Which companies could come out on top? A few sectors stand to benefit directly from the GOP controlling Congress, according to Greg Valliere, Chief Political Strategist for The Potomac Research Group, a firm that provides political analysis for investors. He claims that the biggest election pure play is medical device makers, which are currently subject to a 2.3% tax to help fund Obamacare. Republicans have vowed to repeal the tax, a move that even some Democrats are on board with. Defense stocks could also get a boost from a Republican Senate triumph, Valliere believes, because Republicans are generally more willing to allocate greater funds to the military and roll back any forced spending cuts hurting the defense budget. In terms of the broader market, Valliere alleges that there's a real chance of corporate tax reform with Republicans dominating Congress, something that Wall Street would undoubtedly cheer. 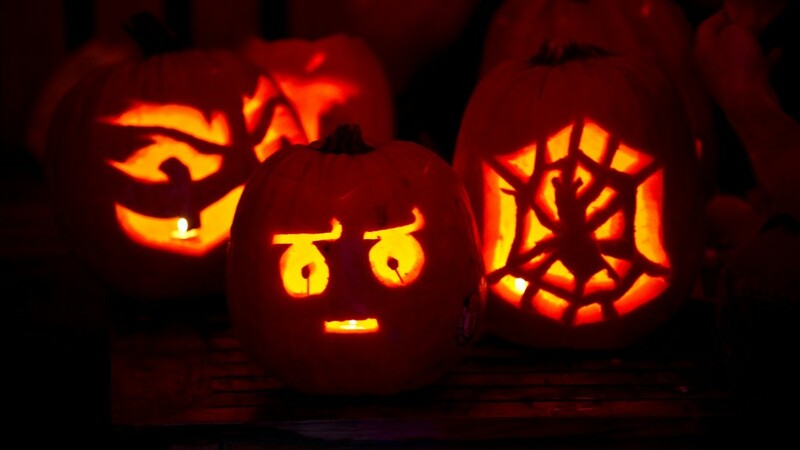 An Internal Revenue Service holiday that would allow U.S. companies to bring back some of the cash they have parked overseas would be a real boon to the market, Valliere said. He cautioned that an overhaul in the individual tax code is probably unlikely. Obama's legacy reforms won't change: Of course, even if Republicans do end up with a Senate majority, Democrats still have the White House, so it's unlikely that Washington's dysfunction will be magically cured anytime soon. Valliere contends that regardless of what Republicans may want, Obama's signature legislative achievements such as Obamacare and Dodd-Frank financial reform aren't going anywhere. "That train has left the station," he quipped. Still, a Senate sweep could give Republicans even more momentum heading into the 2016 presidential season. After all, Obama won in 2008 after Democrats gained control of Congress in the 2006 midterm elections. A Republican Senate also means that the GOP would have more leadership roles on prominent congressional committees, which would allow them to pressure the President on certain issues, particularly in regards to energy and the environment, Dickson said. For example, he cited the controversial Keystone XL Pipeline, a project that the Obama has blocked based on environmental grounds but that Republicans say will provide much needed jobs and energy. Expect minimal impact on the overall market: At the end of the day, any negative market reaction from Democrats retaining control of the Senate will most likely be short lived. The Dow lost over 300 points the day after Romney lost to Obama in 2012, but it rebounded rather quickly and then resumed its record run. Most of the investment strategists polled recently in a CNNMoney survey categorically said that the election won't have an impact on stocks. "All things considered it doesn't leave Congress any different than it is today," Dickson said. But contrary to public perceptions about a broken Beltway that can't agree on anything except when to shut down, Valliere insists that having the executive and legislative branches split by party lines is actually a good thing for stocks. He pointed to the bull market of the 1990s when Bill Clinton was in the White House and the Republicans ran Congress. "The markets have wised up," he said. "Divided government in general is something the markets are happy to live with because it can do less harm."